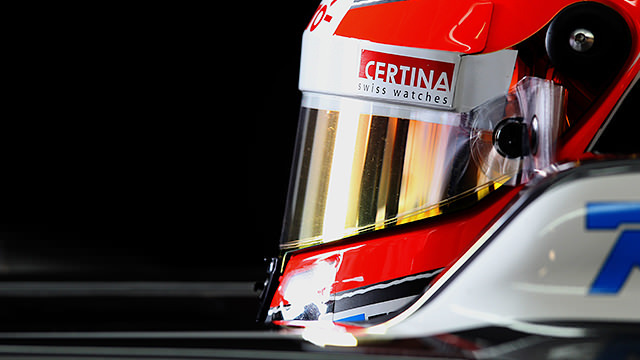 McLaren returned to the top of the 2013 testing times today, with Sergio Pérez behind the wheel of the MP4-28. He completed almost 100 laps and was just a few tenths of a second faster than Sebastian Vettel, who had spent the morning on top before switching to some longer runs in the afternoon. Behind those two, Kimi Räikkönen was third despite only managing 43 laps during the day. The Lotus mechanics were kept busy during much of the day as the car had a gearbox problem. Kimi wasn't too worried about missing out on any running, and the third fastest time showed he needed little preparation time to be on the pace. The team are disappointed with their performance this week, however. Our target was more laps today and we’ve missed that. We were able to diagnose a problem with the gearbox, but rectifying this took quite a lot of time. This severely affected our plans for the day but yet again we were able to show we have a quick car. On the positive side, there were no further problems with telemetry as we experienced yesterday and the second gearbox ran reliably in the afternoon. Towards the rear of the field, Charles Pic was in the Caterham for the second day in a row, and he finished last for the second day in a row too. 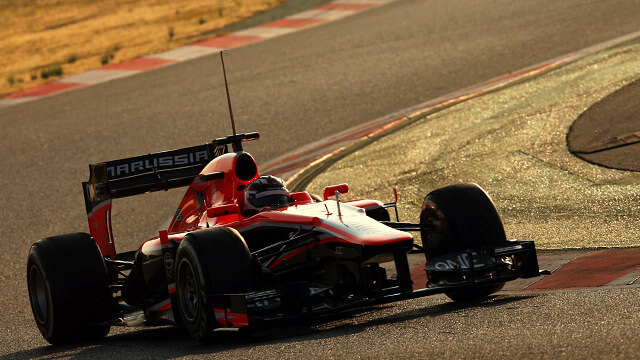 Max Chilton was alongside him for Marussia, although he did bring the afternoon session to an early conclusion due to a fuel system test. Pirelli came under fire for yet more high degradation levels at the Circuit de Catalunya, particularly from Sergio Pérez. 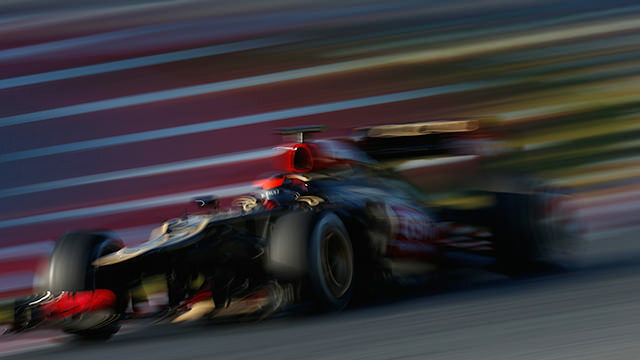 Despite being the fastest driver of the day, the Mexican said: "The degradation is very difficult. It's a big surprise. Normally in winter testing we see a lot of degradation, but never this much. We are going to have a race here so it's a bit of a worry." The winter temperatures should be gone by the time the racing happens in Spain, but it's the second test in a row that there have been complaints about the rubber! Ice on the hire cars this morning, but lovely hot day now for Daniel's last day on track. Jean-Eric is on his way to take over tomorrow. First impression of the #FW35 is very good, nice to feel there are good improvements from last year. Lets keep pushing @WilliamsF1Team ! There's more testing on the cards tomorrow, with Jenson Button and Romain Grosjean taking over testing duties from their teammates for the final two days. 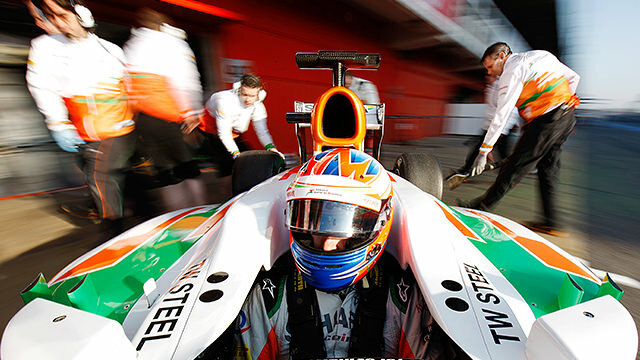 Force India start their headline grabbing again, with Adrian Sutil returning to F1 for a single day in the VJM06.